Do you think Champaign County should spend money on a new jail? Local social justice groups ask for your support in saying NO to a new jail; and YES to first funding community-based prevention programs. How can we improve law enforcement? Nationally the unemployment rate continues to hover above 9%, nearly double that for African-Americans. This makes it hard for anyone to get a job. But as if it's not bad enough for everyone, some people have it even worse. I'm talking about those who have felony convictions, especially those who are on parole. In the past many thought of such people as outcasts-the marginalized troublemakers of society. Times have changed. There are more than thirteen million people in the U.S. walking around with felony convictions. We have something like five million people on parole and probation. We can't keep this many people at the margins forever. 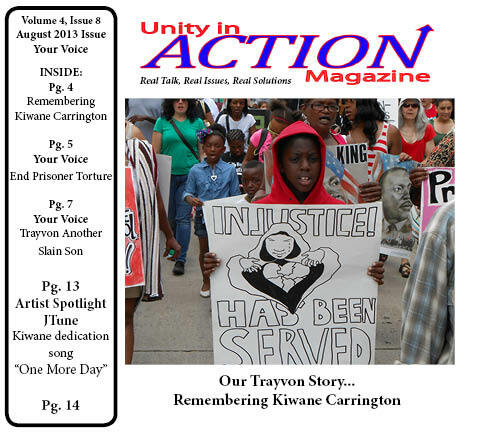 Read more in the Oct. 2011 issue of Unity in Action Magazine.